On July 14th, the BxCRRB was graciously invited by Dr. Fisher and her team to lead a presentation on the nuances of ethics and Community-Engaged Research in the Bronx. 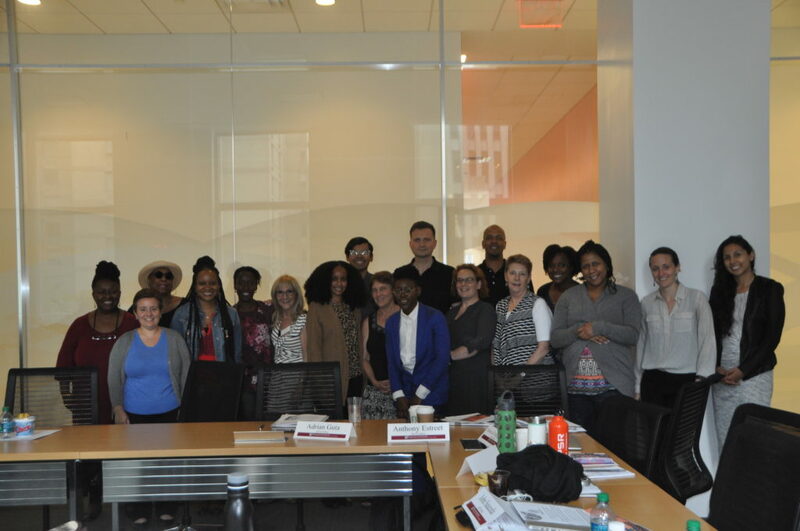 Members of the BxCRRB (Dr. Monique Guishard, Nicky Smith, Saba Solomon, Bernice Williams, and Barbara Hart) with the cohort of RETI. The RETI cohort was a group of multi-disciplined scholars and researchers who were interested in building their knowledge and capacity to perform ethical research in their work. To find out more about RETI follow this link.